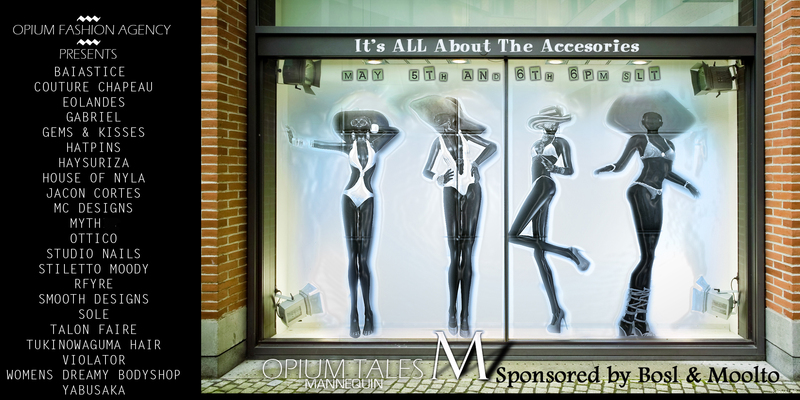 Opium Tales – Mannequins…review of a fantastic show and fantastic accessories!!! Lastly Opium Fashion Agency had another amazing and fabulous show. 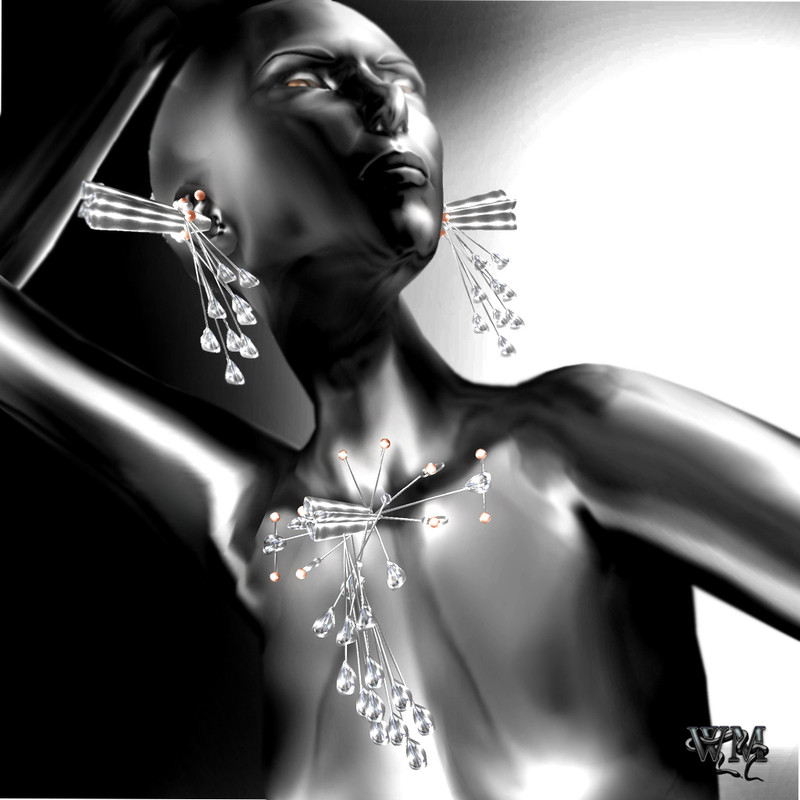 “Opium Tales Mannequin – It’s all about the accessories” Not the avatar was focus of that show neither clothing designs… just the accessories that make every outfits to something special. I liked this show so much that I would like to review the stunning things I was given for that show 🙂 and for sure all the fabulous Stiletto Moodys I got! Stiletto Moody sponsored every outfit with one pair of the fantastic and wonderful heels!!! For the next round I was wearing a combination of a lovely daisy outfit from Talon Faire, a Fyreworks Necklace, hair from Tukinowaguma and the fantastic new “Bare Fay” wild set heels from Stiletto Moody. This fresh and wonderful colors and textures a totally eye catcher with the animal print combined with that light blue..simply amazing and outstanding! Stiletto Moody again raised the level for stylish and perfect designed high heels! My 3rd outfit contained jewelry from MC Designs, Tukinowaguma hair and again one version of the amazing new Stiletto Moody “Bare Fay” wild set colors called kaleido. The kaleido texture is available with 3 different colors for the “Bare Fay” style. For me the light blue one was matching this out fit best. And not only black is possible for an unusual skintone…even the white tone of the WDB Fantasy Skins could be matched for the bare foot tone of the stunning Stiletto Moodys! 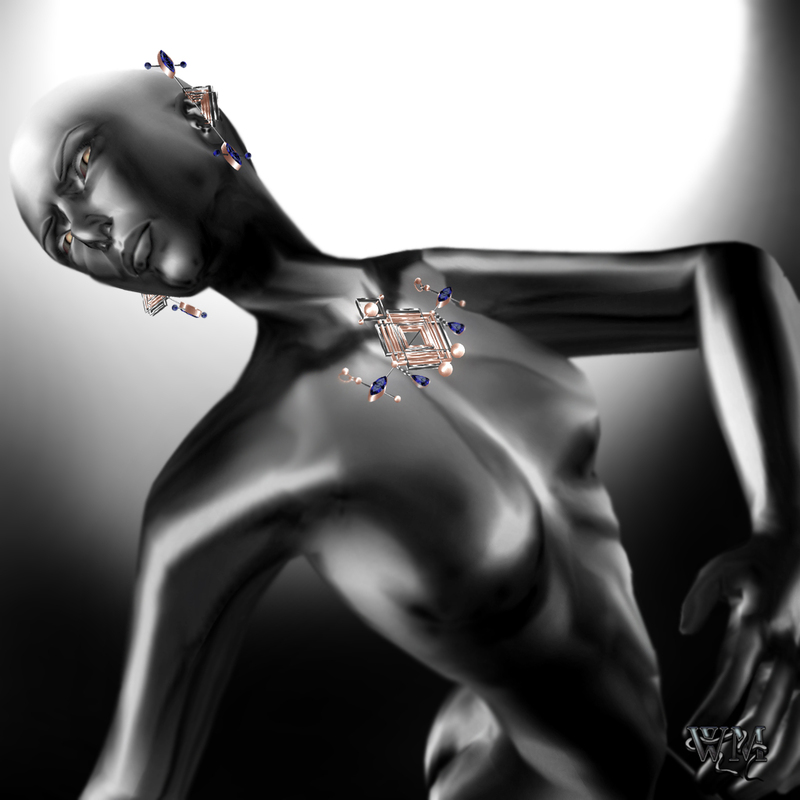 Again in the metalic black skin of Yabusaka I was allowed to show another set of the MC Designs jewelry,the Swirls2 Eye tattoo from Talon Faire, a cloche from House of Nyla and another style of the new spring collection of Stiletto Moody. The ” Bare Robin” ankle boots here shown in red python. *rooooaar* This texture is definitely some for the brave fashionista that dares to show color and style. The amazing, shining, red colored python texture is so amazing detailed…breath taking realistic. Also the zipper that is open in this version so that the sweet ankle straps show off and the stitched leather turns inside out… simply wonderful! My last outfit was made of another WDB Fantasy Skin, a wonderful black, flexible boa with Bangles from Myth and again another version of the fantastic Stiletto Moody “Bare Robin” ankle boots here in the kaleido color and with a closed zipper. The options of opened and closed zipper and also the different colors for the metal parts are part of this great pair of Stiletto Moody also. You can choose by yourself, if you wanna wear “Bare Robin” with open or closed zipper, or with or without ankle straps. The kaleido texture gives a perfect spring and summer feeling with its amazing colors! 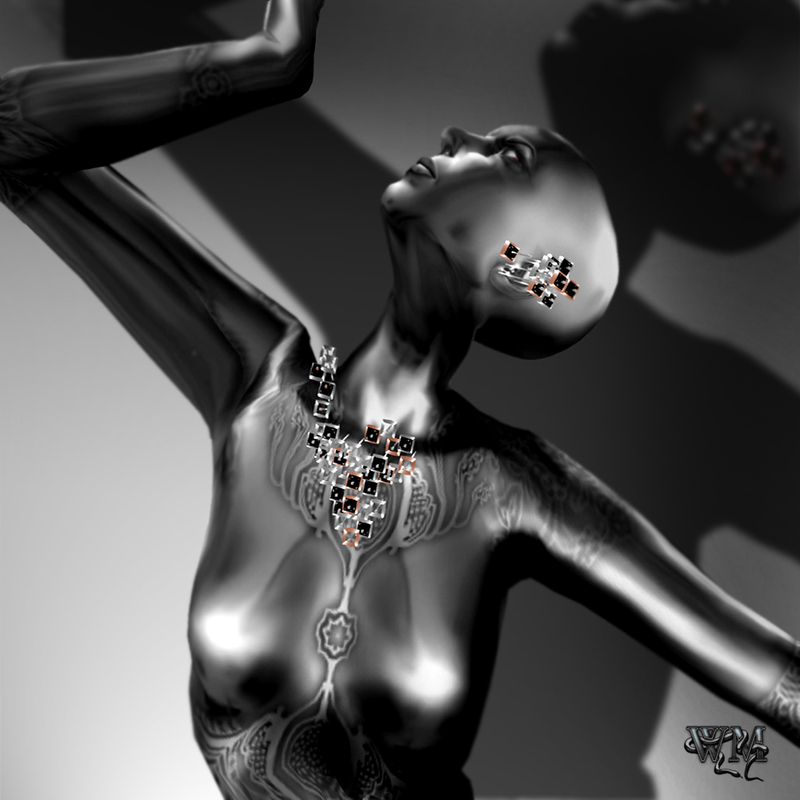 For me it was an amazing opportunity to walk this show and I would like all the designers and the Opium Family that made this show possible… for me it was something new in SL to have only the accessories in the focus of a great show.